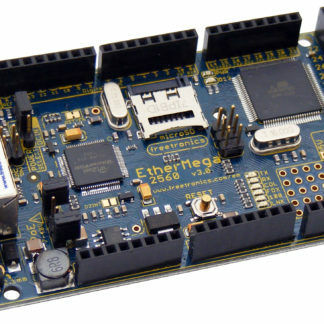 View cart “EtherTen (100% Arduino compatible with onboard Ethernet)” has been added to your cart. 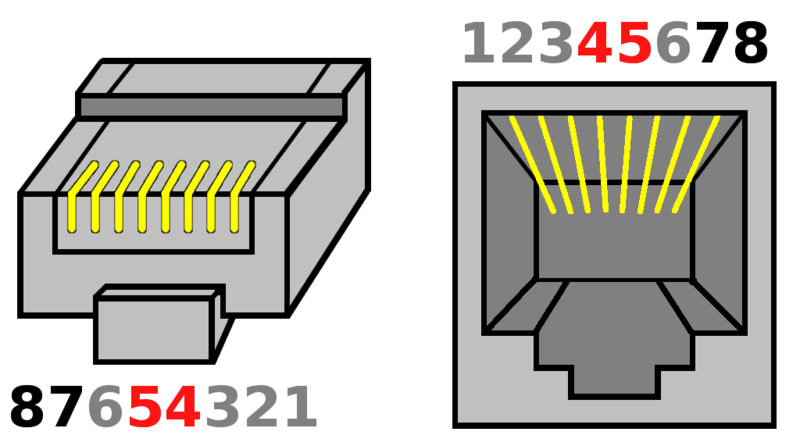 Power-over-Ethernet uses your LAN to send power via the network cable to whatever device you have connected at the other end, saving you the hassle of plugging the device in to both the network and to power. 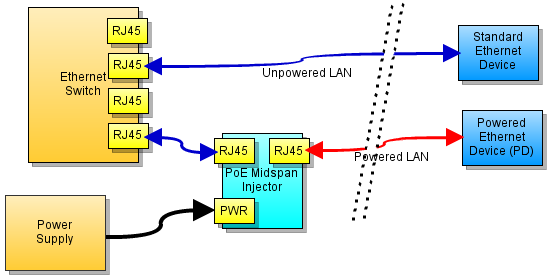 PoE lets you centralise your power supplies. 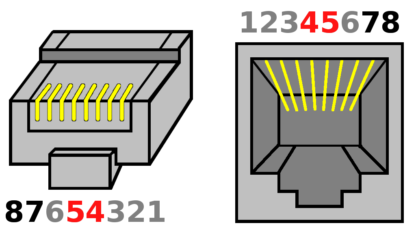 Home-brew PoE typically involves trimming back part of a LAN cable, separating out the relevant pairs of cable, cutting them, and soldering on a power socket so you can connect a plug-pack. That works fine, but it’s ugly, fiddly, and takes time. Our 4-Channel Power-over-Ethernet Midspan Injector is the solution! 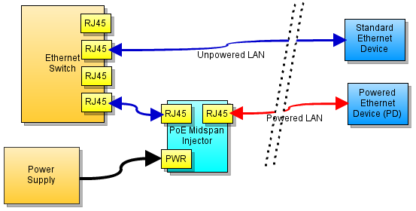 Just unplug your LAN cables from your switch, plug them into the “device” ports on the injector, run short LAN cables from your switch to the “switch” ports on the injector, and plug in whatever wall-wart power supply you have handy. Done! No soldering required. 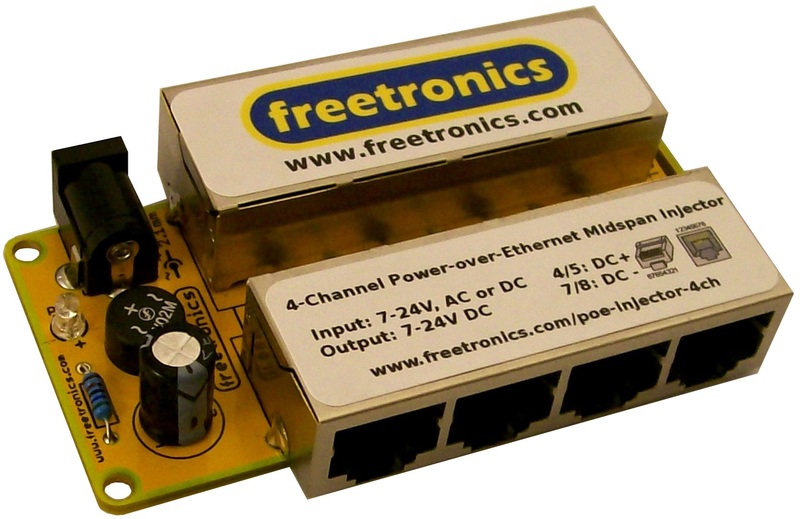 Works great with various Freetronics Ethernet products with PoE support, including the EtherTen, EtherMega, and EtherDue. 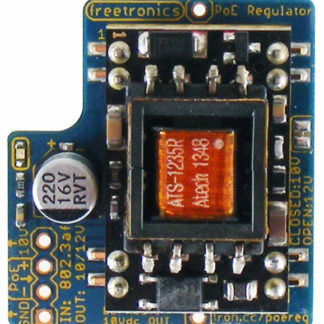 2.1mm power jack suits many common wall-wart (plug-pack) supplies. 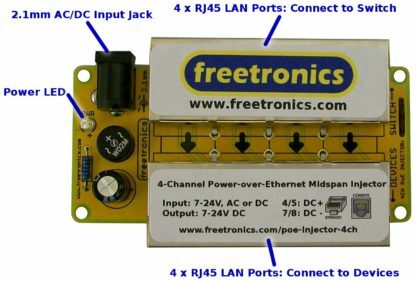 Same connector as used on Arduino. Input voltage 7V to 48Vdc. Output voltage is whatever you feed into it. 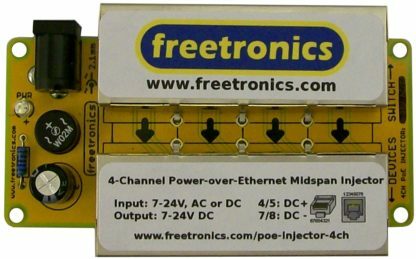 Four channels: suitable for powering up to four devices. 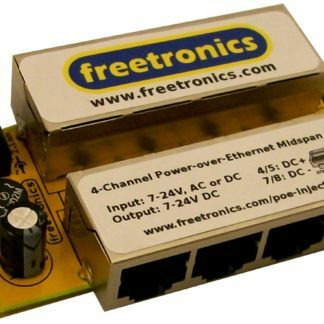 Note: There is no power supply included because your requirements will depend on your local mains voltage depending on where you are in the world. 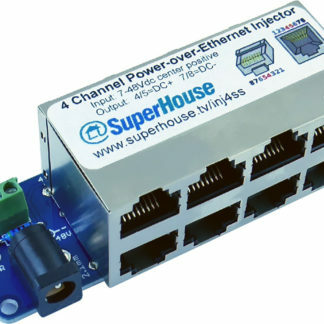 This injector works with any wall-wart / plug-pack that provides an appropriate output voltage and has a 2.1mm DC power connection.